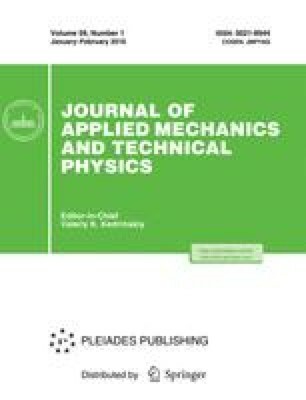 The vibrations of a viscoelastic plate lying on an elastic liquid base subjected to pulse loading have been studied theoretically and experimentally. The effect of the variable depth of the reservoir, plate thickness, and strain relaxation time on the value of the plate vibration amplitude and the length and curvature of the flexural gravity wave profile are analyzed. Good agreement of theoretical and experimental results is obtained.